This blog would not be what is is without the ever-energetic and ubiquitous Bill Westphal. Just want to make that clear at the outset, and thank him for yet another spectacular picture. 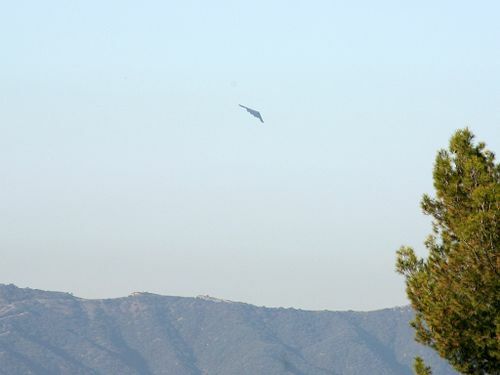 The B-2 bomber made its usual appearance at the Rose Parade this morning, an hour delayed due to frost on its wings at Palmdale, according to the stories. Shortly after 9 AM, it finally swooped over the parade route and turned back home to its Kansas hangar. Picture here from this morning, making a turn over the Verdugos.